Whether you own a domestic property or commercial building, a quality fire alarm should be installed and maintained at all times. At London Electricians 247, we only install the highest quality fire alarms; both for your safety and peace of mind. Whatever make or model you require, our competent team are able to provide a comprehensive maintenance service to ensure that your system is operating to the highest standards at all times. We also offer an in-depth fire alarm inspection service, along with impartial advice on how to fully maximise your product. While it is highly recommended that every household invests in at least one fire alarm, it is a business owners responsibility to ensure the safety of the workplace by investing in fully operational systems. 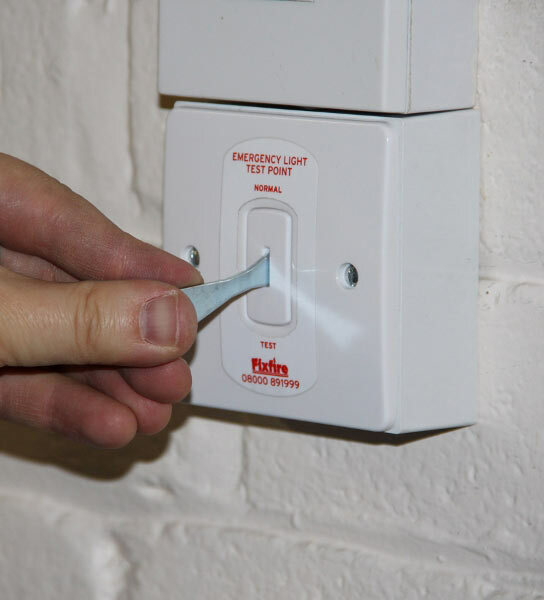 In addition to our fire alarm installation and maintenance service, we are also able to provide the same option in regards to emergency lighting in your commercial property. Whatever your trade, we can advise on anything from illuminated fire exit signs, through to escape lighting. With extensive knowledge gained from years within the electrical industry, you can trust our advice to always be honest and impartial. Whether you require our services to check the functionality of your products, or need to utilise our emergency call-out options should your system fail; we are on hand at all times to ensure you, and everyone within your building remain safe at all times. Call our friendly team today to find out more about our competitive prices and multiple accreditations that make us the best choice for you and your needs.